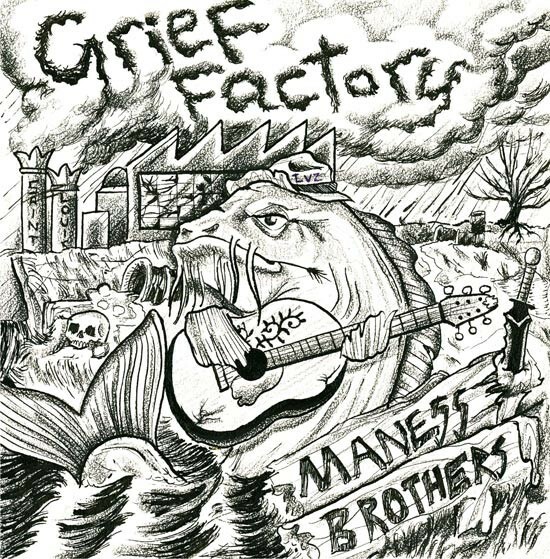 The Maness Brothers release Grief Factory this Saturday. Brothers Jake and David Maness grew up in O'Fallon, Missouri on a steady diet of Hendrix and Canned Heat. The obvious end to a childhood of rock & roll is a band, but it took the Maness Brothers twenty some-odd years to start writing together. On Saturday, March 15, the duo will release their new seven-inch Grief Factory at The Livery Company (3211 Cherokee Street) alongside local favorites Fred Friction and Carriage House. "Mom's 50th birthday," both brothers respond when asked about their most memorable show. The Maness Brothers treat their corner of the music scene like family. 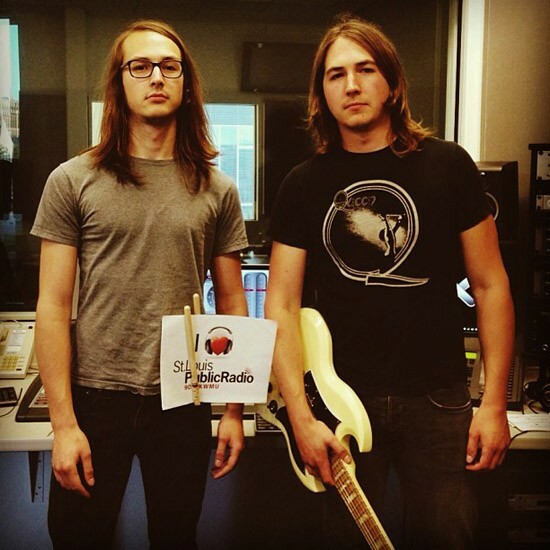 While David and Jake perform their powerful blues fusion, both brothers work in the background of St. Louis music as part of Guitardog Records. The duo curates gigs too, including the annual Whiskey War Festival, a staple in local blues and roots music. The brothers' tight-knit nature is definitely audible. Fiery riffs stick to solid rock drumming while the occasional harmonica buzzes about. Howling lyrics tell tales of being taken for granted while aggression leaks out from behind gritted teeth. Familiar sounds are present, but both brothers wear their influences on their sleeves. Guitarist David Maness says, "We had no real concept at the beginning, besides us wanting to get solid songs as just us. I've always listened to the blues, so naturally when we began playing, it was a spin on that." Maness Brothers songs pass by quick, leaving before exhausting their welcome. While the band presents itself just loud enough to rattle the brain, the volume never feels overbearing -- a testament to the brothers' balance of skins and strings. Jake Maness cut his teeth while playing for doom metal band Iron Hills, which would explain why he insists on hitting those drums of his so damn hard. David gnaws a fuzzed out guitar while singing at an equal level, making for a forceful wall of blues and garage rock. Grief Factory marks a major milestone for the Maness Brothers. Until now, the band has only ever laid down tracks for compilations, including Whiskey War Festival samplers that coincide with the annual concerts and Songs To Fred, a Fred Friction cover album. For the future, the band is focused on touring and preparing the next Whiskey War Fest this June. Brothers David and Jake Maness met up with us to talk about sibling jams and other nonsense. Read on as they "fill in the blank" ahead of the Grief Factory release show this Saturday at Livery Company. The cover of Grief Factory. My Favorite aspect of being in a band is... writing and creating with another. The best post show food in St. Louis is... City Diner. The St. Louis music scene could use... fans. My Favorite aspect about being in a band is... writing. The best part about playing in a band with your brother is... we'll always be brothers so there will always be the Maness Brothers. We'll probably releasing new material until we're too old to play. I've learned the most from... watching other musicians and going to shows. I'm most inspired by... my friends and other local musicians. The best post show food in St. Louis is... we're usually leaving Mangia so City Diner makes the most sense. Follow The Maness Brothers through Facebook or Soundcloud.